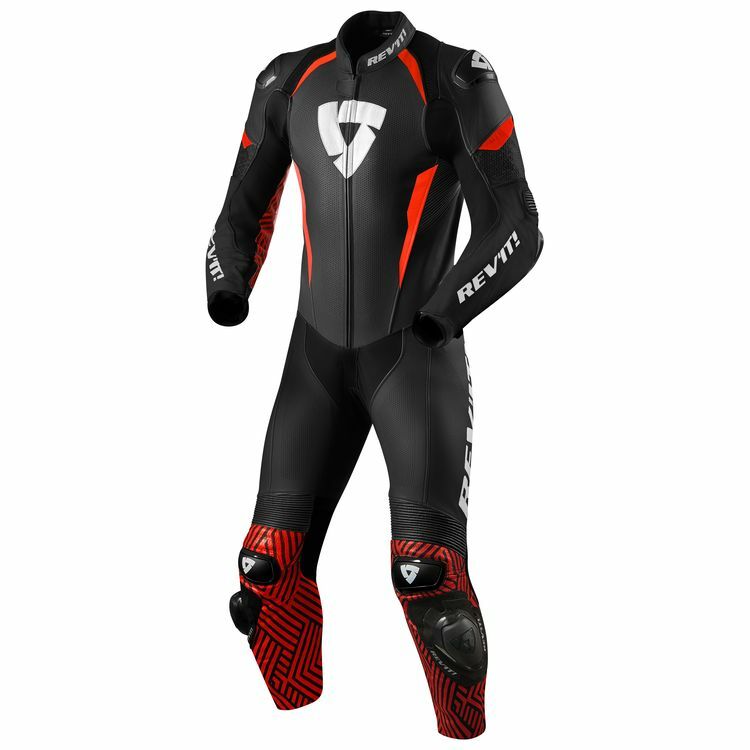 The Revit Triton Race Suit brings pro-level MotoGP technology to your average track day enthusiast. High quality Monaco Performance cowhide makes up the shell of the suit with PWR|shell stretch areas to help with fit and movement. Debossed sections on the upper arms provide a pop of styling, missing from more plain suits. Localized perforation allow the suit to breathe in hot weather. The speed hump holds a hydration bladder to keep you hydrated when you're navigating twisties or track sessions. External dual-comp knee sliders with Revit's signature styling shield the shoulders, elbows and knees. Complete the impact protection with your own strap-on back protector or slip Seesoft armor into the back pocket.